The jungle floor gives way to your every step as you plunge deeper into the overgrowth. In the distance, water rushing over rocks call to you. Light breaks through a dense thatch of leaves as you test your footing on large rocks while fine cool mist caress you face. As you glance up, you gasp at the stunning beauty in front of you, the magnificent Kulen Waterfall. Kulen Mountain, the birthplace of the Khmer empire is as mysterious as it is spellbound. Join world traveler Anton Swanepoel as he shows you this ancient wonder and the surrounding attractions in a picture guide. Get a feel for the 1.5km climb up the mountain to Kbal Spean with pictures that show you what to expect, as well as some of the lingas to be found at the top. Be amazed by an 8 meter long reclining Buddha that sits high atop a sandstone rock, and be breathless as you stand at the top of the Kulen Mountains range, with the Khmer empire at your feet. Swim in the source of power for the rivers that flow from these mountains, past enchanted lingas. 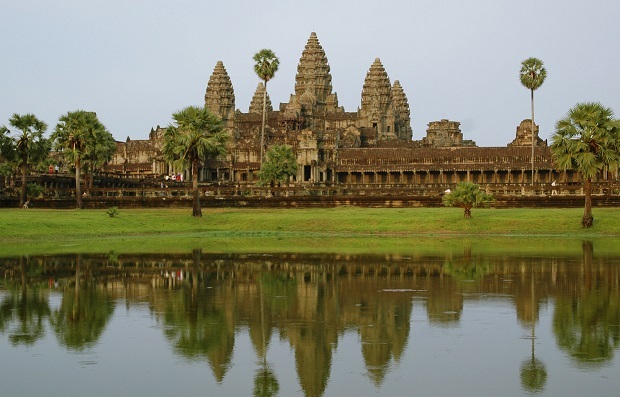 If your want to experiance Cambodia past Angkor Wat and discover the birthplace of the Khmer Empire then this book is for you.